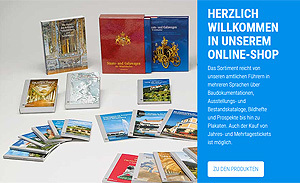 online bookshop of the Bavarian Palace Department. 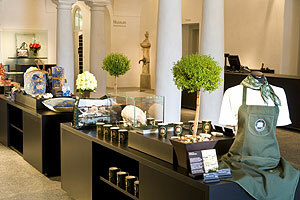 Here you can select at leisure from a number of different categories and a shopping cart is provided to make ordering easy. The varied assortment includes our popular official guides in several languages, building documentation, exhibition and inventory catalogues, coffee-table books and prospectuses as well as CD-ROMs and posters. Also you can buy our annual session tickets or 14-day tickets.